YoYoExpert Blog & Yo-Yo News – YoYo String Lab Sampler Pack & Ann Connolly Plutonium! It’s tough deciding which string to buy, especially with so many options. 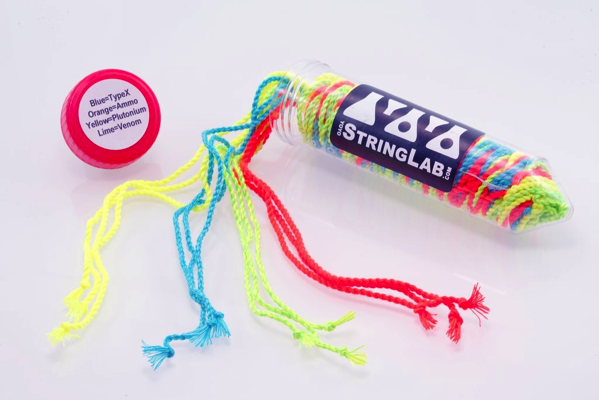 Yo-Yo String Lab makes a variety of high quality handmade yo-yo strings and now you can try them all in the convenient Sampler Pack! The Sampler Pack include Type X, Ammo, Venom, & Plutonium. 3 strings of each type (12 strings total!) in different colors so you won’t get them mixed up while trying them out. 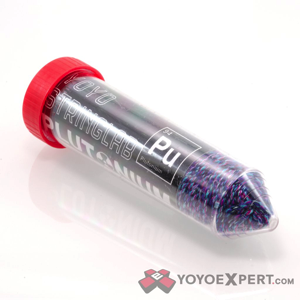 Plutonium is soft on the hands but also really good for whips and lacerations. It has a tighter wind that Venom and is slightly thicker for a completely new feel in play. It has the perfect balance for competitive and casual throwing.